Although we concentrate in personal injury and civil rights litigation, Burkwit Law Firm also serves the general practice needs of our clients. Burkwit Law Firm is an aggressive personal injury law practice committed to maximizing monetary recoveries for our clients, including injured motorists, construction workers and those who have been injured due to police misconduct. We are a results oriented law firm believing that strong communication is essential to obtaining the best possible outcome for each client. With a strong client commitment and years of experience Burkwit Law Firm is ready to represent you. Attorney Charles F. Burkwit became licensed to practice law in Michigan in 1996 and in New York in 1997. Charlie is a graduate of McQuaid Jesuit High School, Niagara University and University of Detroit Mercy School of Law. He has practiced in all regional Justice, County and Supreme Courts, Appellate Division, Court of Claims, Federal District Court and Bankruptcy Court. His courtroom practice and experience has extended throughout 20 counties in Western and Central New York. He has represented over 1,500 clients in personal injury cases and is an experienced trial attorney, having tried over 100 cases during his 22 year career. Charlie has obtained millions of dollars in settlements and/or verdicts for his personal injury clients. He concentrates in the areas of auto and motorcycle accidents, wrongful death, medical practice, construction accidents and police brutality. Charlie is admitted to practice law in New York and Michigan, United States District Courts for the Western District of New York and Eastern District of Michigan, United States Court of Appeals for the Second Circuit, United States Bankruptcy Court for the Western District of New York. He is a member of the Monroe County Bar Association, Wayne County Bar Association, New York State Bar Association and State Bar of Michigan. He is also a volunteer fire fighter and Fire Commissioner for the Pultneyville Fire Department. With over 25 years working in the legal community, Barbara has extensive experience in personal injury litigation, insurance defense work, family law and general legal matters. She assists in all phases of litigation from inception to trial. 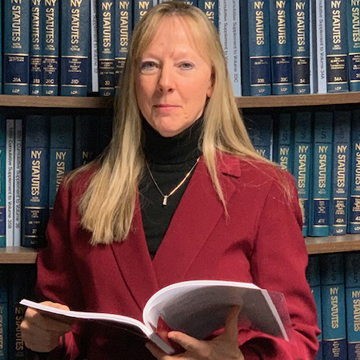 Barbara joined Burkwit Law Firm, PLLC in 2014 working directly with attorneys completing discovery, preparing cases for trial and consulting on jury selection. Barbara is a native of upstate New York, a graduate of SUNY Brockport BS Psychology and holds a Paralegal Certificate. She enjoys hiking, biking and spending time with family. 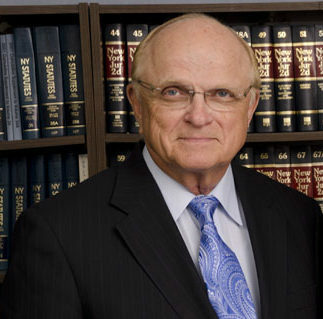 Attorney Robert L. Burkwit, of counsel, has been actively practicing law in Rochester, New York since 1962. Bob is a graduate of Aquinas High School, St. John Fisher College and Syracuse Law School. He served as Attorney for the Village of Webster from 1974 through 2006. Bob has also practiced law in all regional Justice, County and Supreme Courts, Appellate Division, Court of Claims, Federal District Court and Bankruptcy Court. He has represented thousands of clients during his career encompassing numerous areas of law. Bob also has an extensive trial and courtroom practice background which extends throughout Western and Central New York. 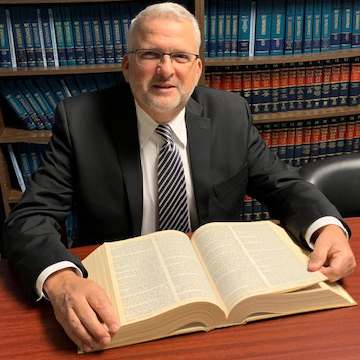 He has a general law practice with concentration in the areas of real estate, business, estate planning, family law, personal injury, municipal law and criminal law. Bob is admitted to practice law in New York, United States District Court for the Western District of New York, Supreme Court of the United States and United States Bankruptcy Court for the Western District of New York. He is a member of the Monroe County Bar Association, Wayne County Bar Association and New York State Bar Association. Whether you have been injured in an auto or motorcycle accident, a construction accident or subject to police brutality, you are entitled to an experienced and trustworthy attorney to help guide you through the legal process. Burkwit Law Firm possesses the required trial experience, interpersonal skills, necessary resources and commitment to aggressively fight for the legal outcome and compensation you deserve. We have the communication skills and trial experience required to obtain a successful and meaningful resolution to your case. Your file will be handled by an experienced trial attorney who will communicate directly with you on a frequent basis as your case progresses. The longevity and success of Burkwit Law Firm is based on referrals from satisfied clients and other professionals, not from advertising. Our reputation, credibility, and trust is built upon many successful years of experience representing the best interests of our clients. It is our honor to assist and provide you with the quality legal representation and one-on-one attention you deserve. Please call us today for your free no obligation legal consultation.